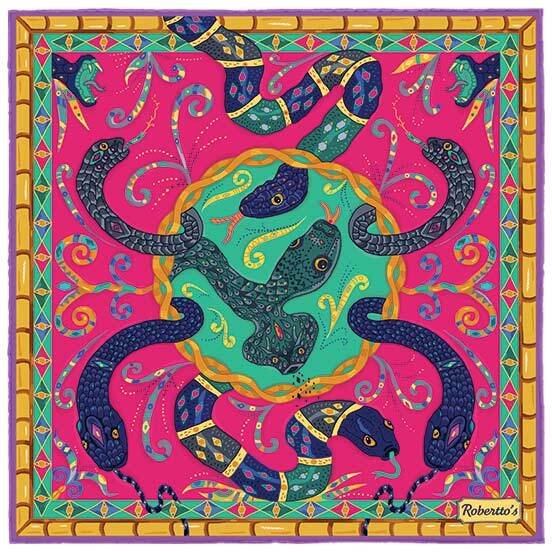 There are few creatures in the world which divide opinion quite so much as the snake. 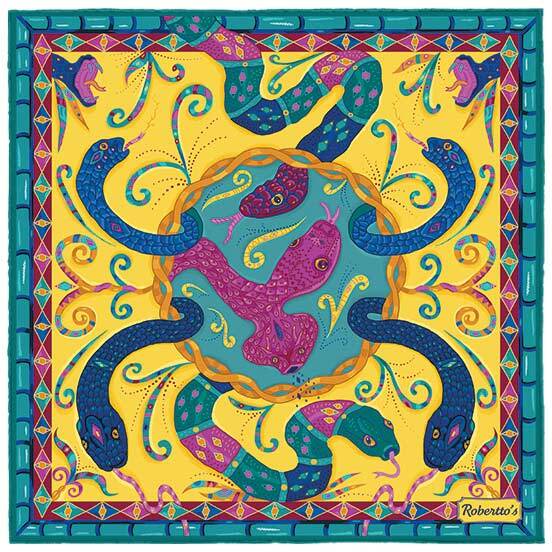 The serpent has, throughout history, been all things to all men: the great temptation, feared as a predator, revered as a god, a symbol of love, of eternity, of danger and suspicion. 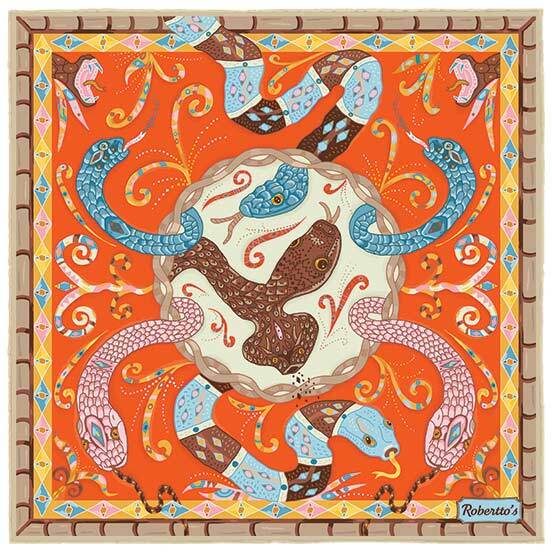 There is something about the snake which captures the imagination – is it their undeniable beauty? 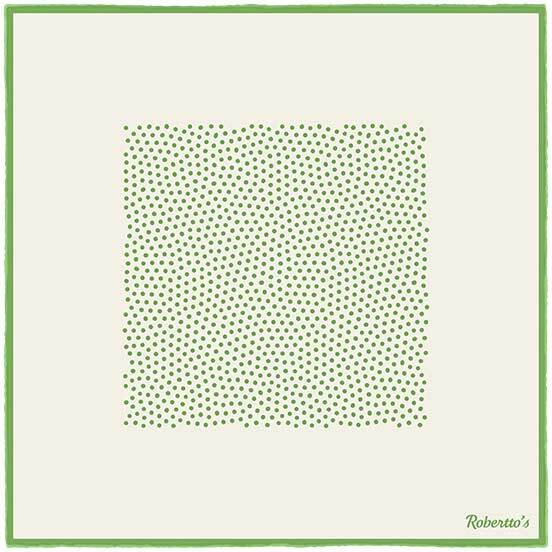 The way that they move, so stealthily, so smoothly, and always ready to strike? 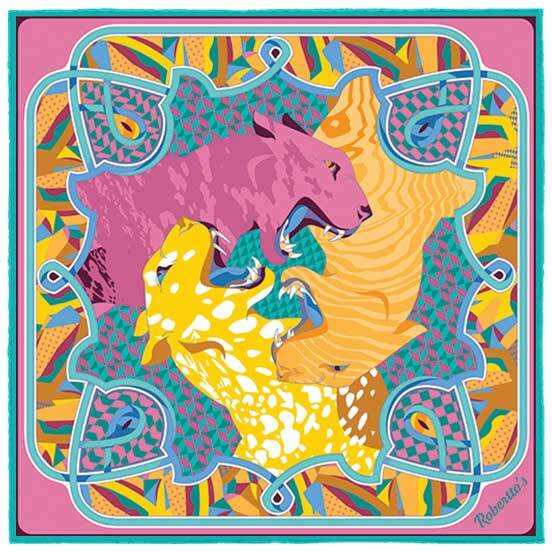 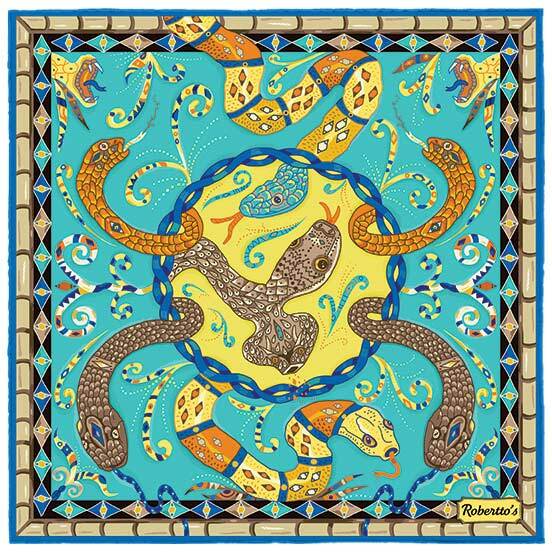 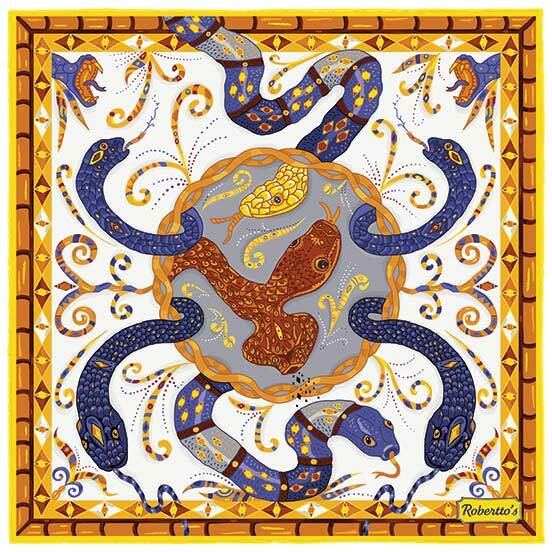 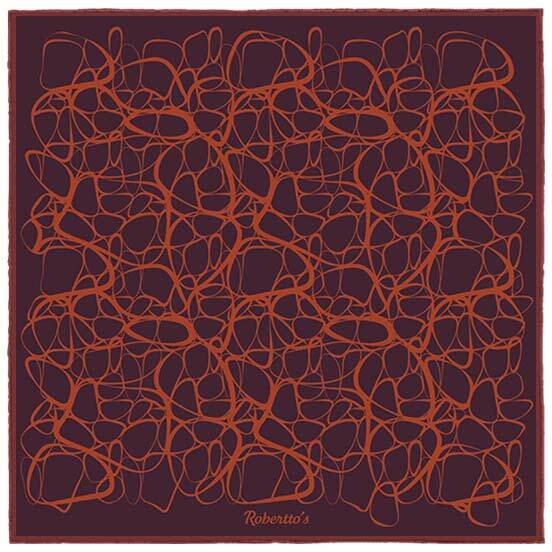 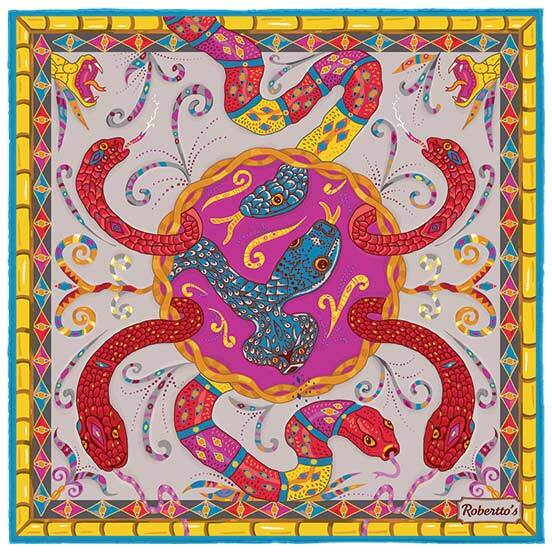 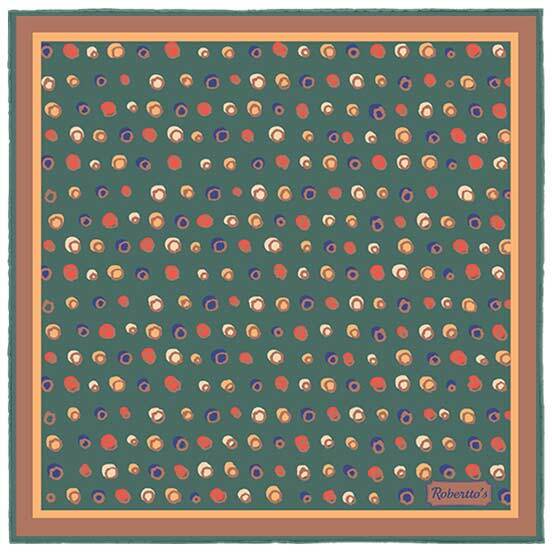 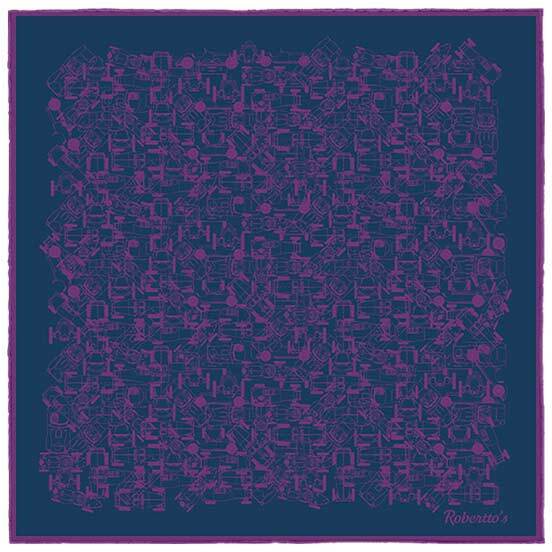 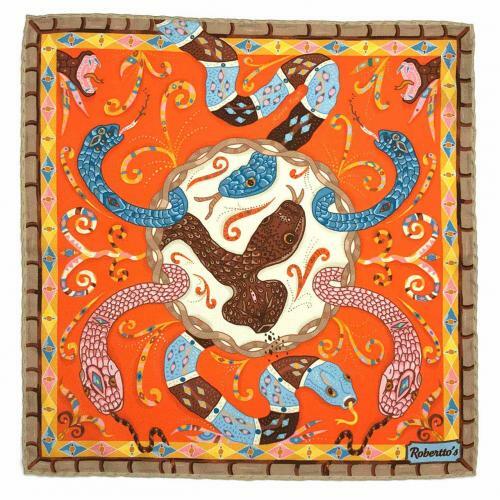 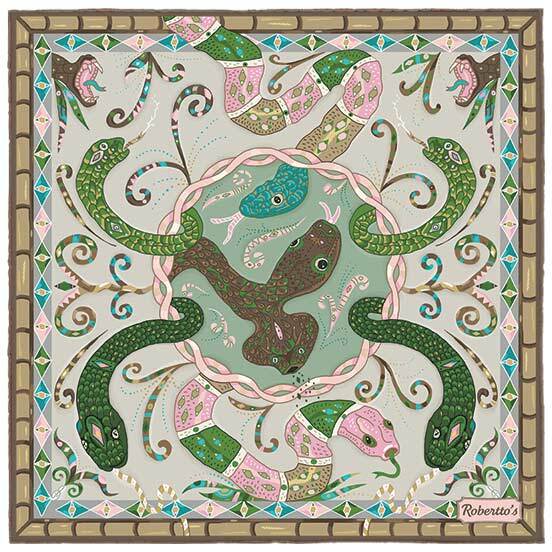 Whatever the reason, these reptiles are a fitting subject for a high quality pocket square design. 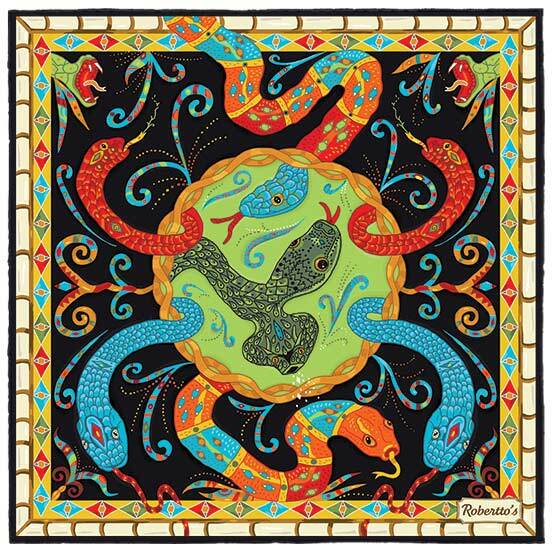 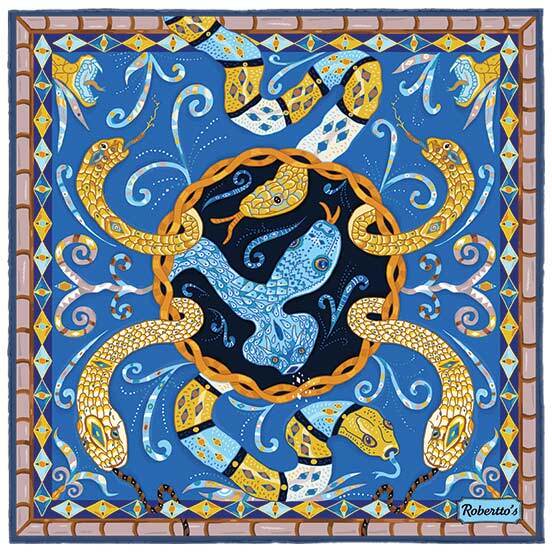 This stunning pocket square features eight bejeweled serpents, slithering their way across the silk, surrounded by patterns and borders which are reminiscent of native batik illustrations. 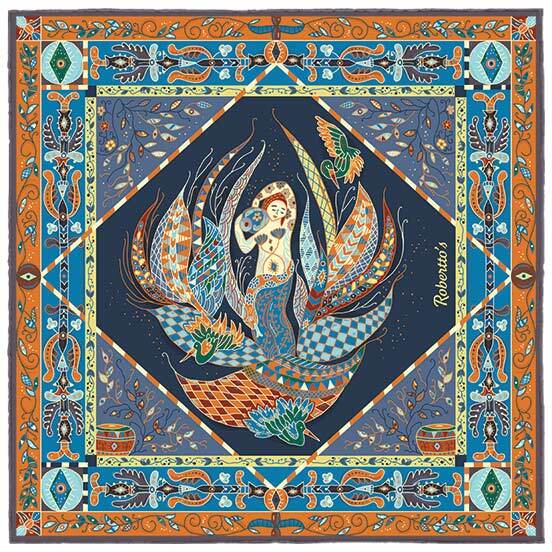 The overall effect is one which manages to be both exotic and urbane at the same time, and something which recalls both ancient works of art, and the sidewinding streets of cities such as New York and London. 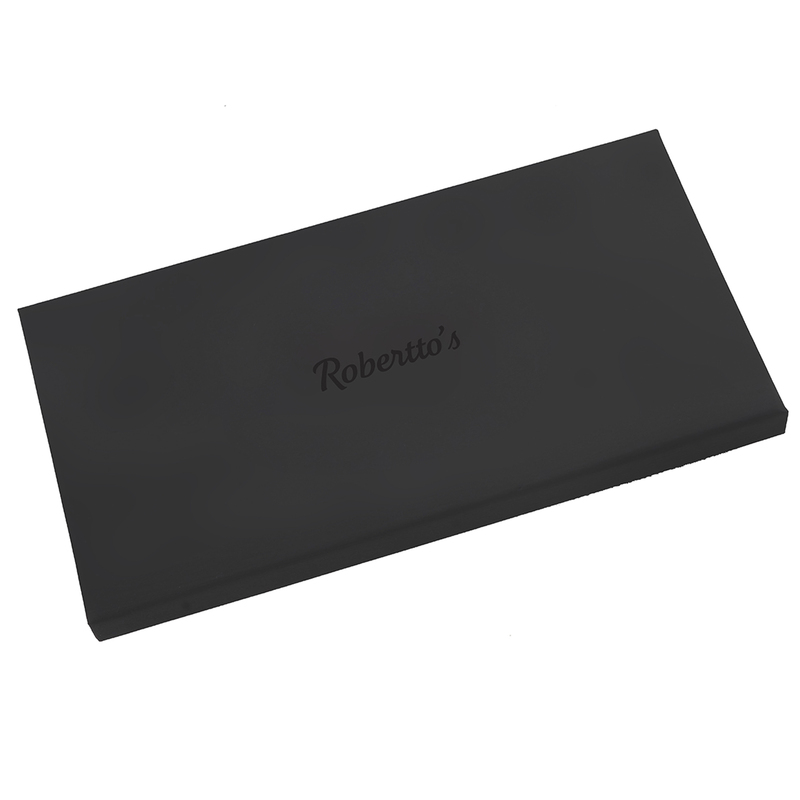 Perfect for the modern individual who uses temptation to their advantage, and who slips and slides gracefully through their surroundings. 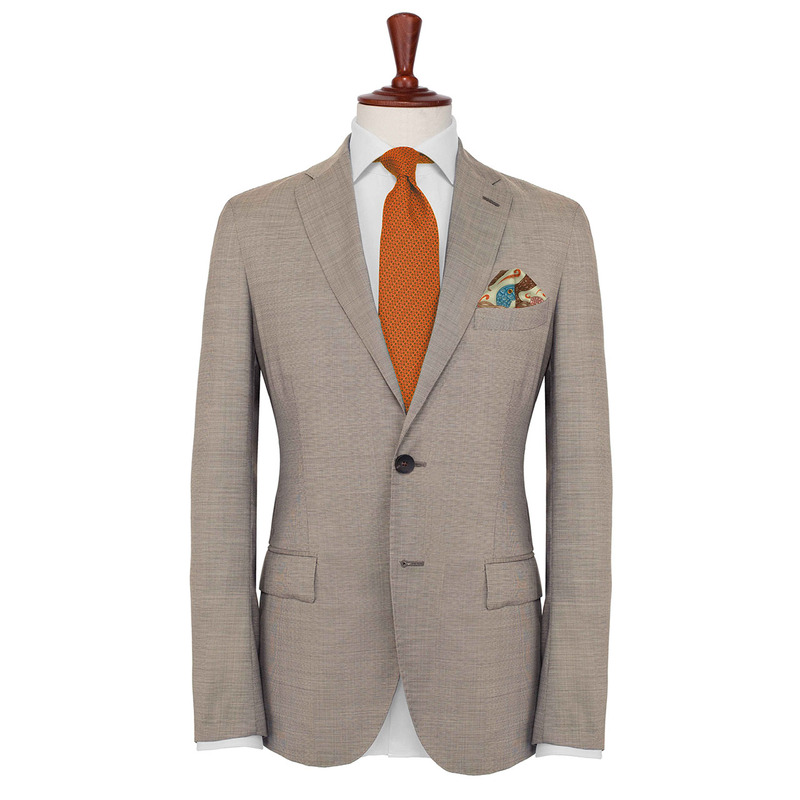 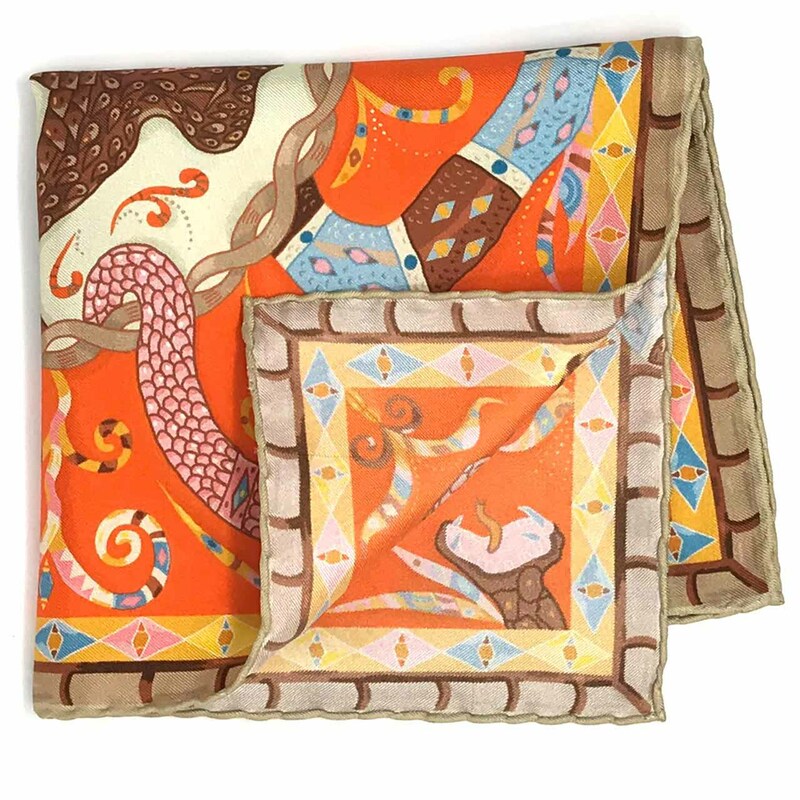 A fiery orange background and a delicate, tan colored hand-rolled hem make this snake pocket square one of glorious color and contrast. 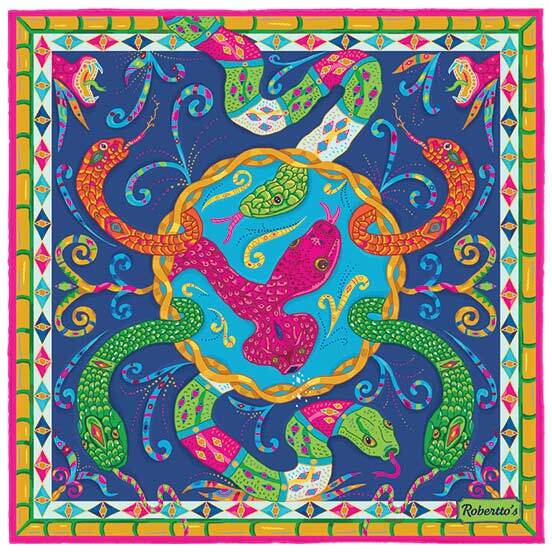 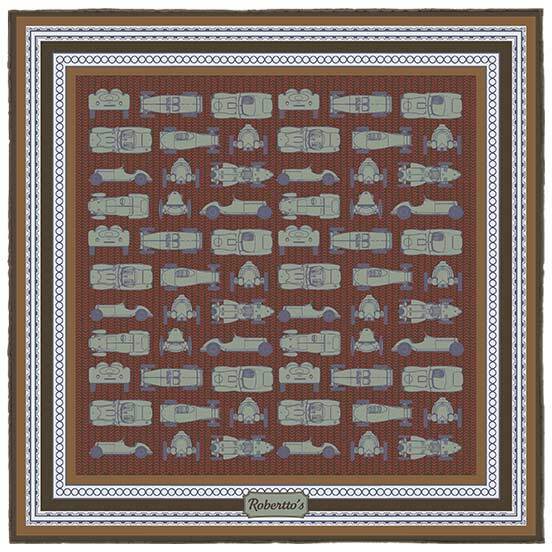 The serpents themselves are beautifully drawn on the silk of the pocket square, and superbly colored in brown, blue and pastel pink. 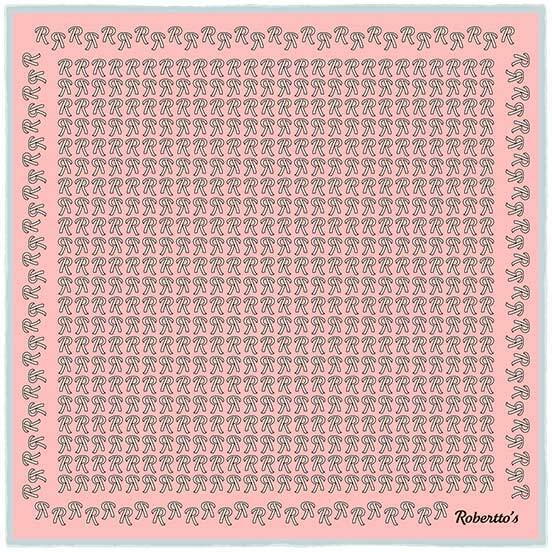 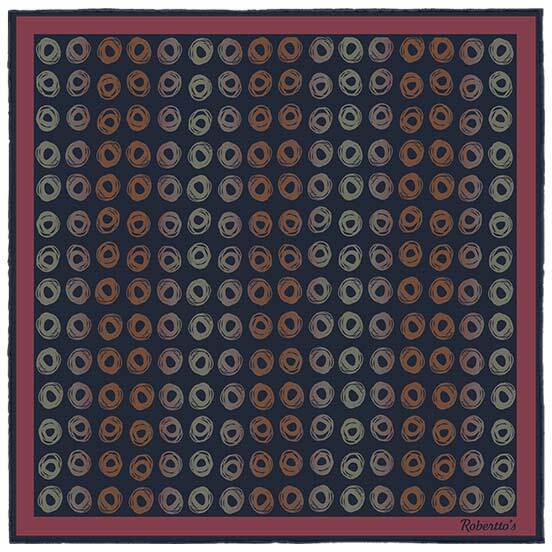 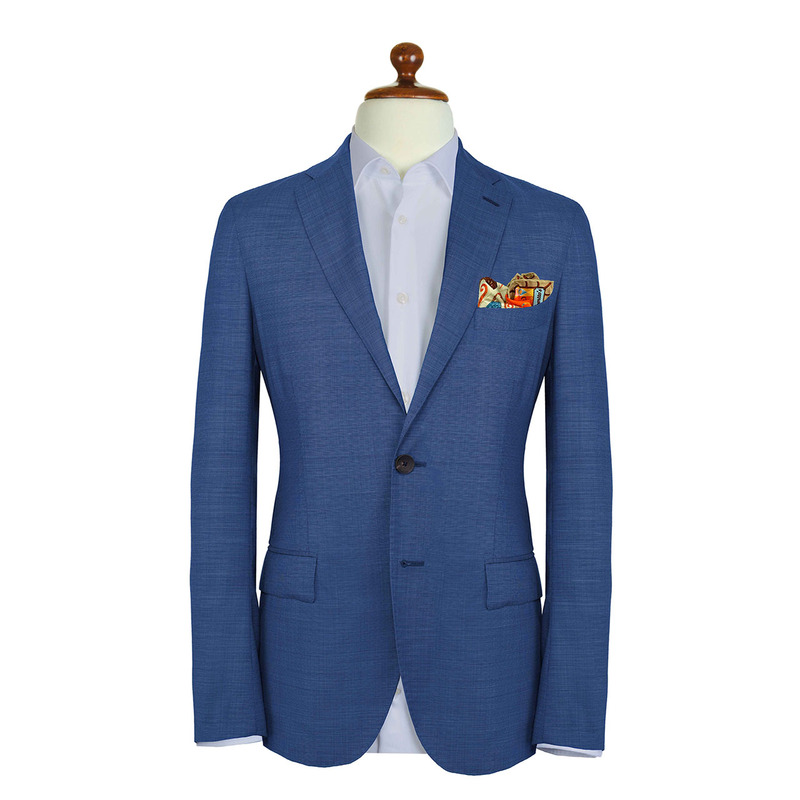 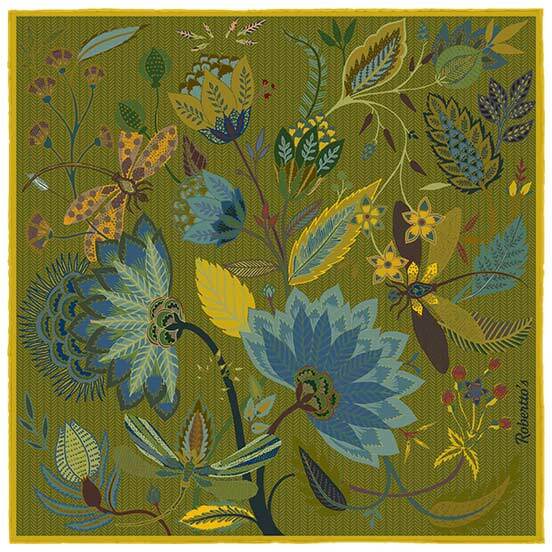 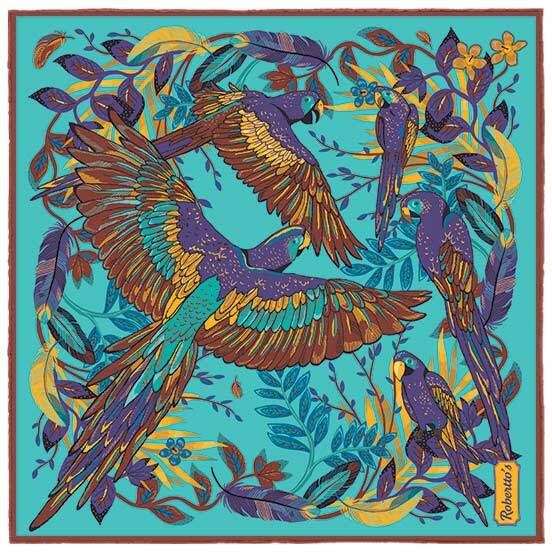 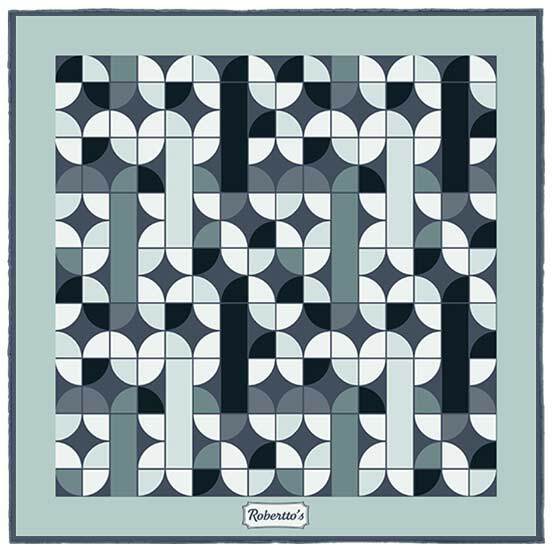 This is a pocket handkerchief for the individual who enjoys blending their vintage suit accessories with a decidedly contemporary, vibrant palette. Match with a brown blazer, a white, blue and brown checked shirt, and navy blue jeans for a look which manages to be both laid-back and sophisticated at once.